A behind-the-scenes look at the gardening world, where there's more going on than you might expect. New plants to look out for Having taken a look at the new products that are coming onto the market over the coming months, now we move onto some new plants that will be heading our way. 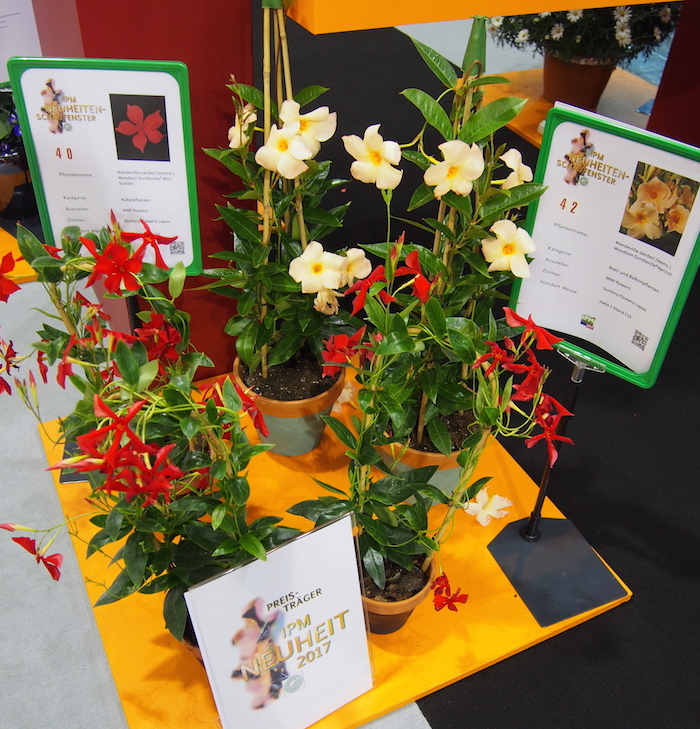 From the exhibition at IPM Essen, we have: Hibiscus rosa-sinensis HibisQs Series, a compact but very floriferous series of pot Hibiscus plants. 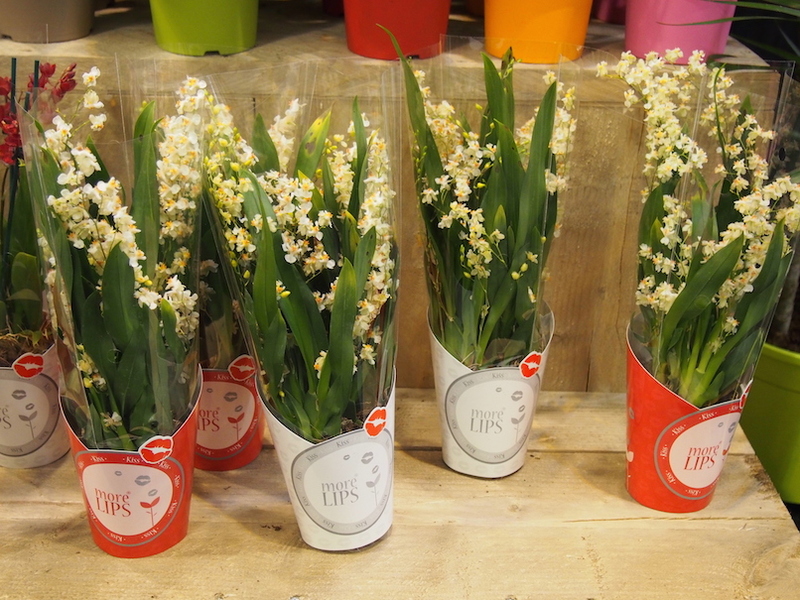 Ideal for the sunny deck or patio, they will grow in pots, window boxes or you can plant them as bedding. 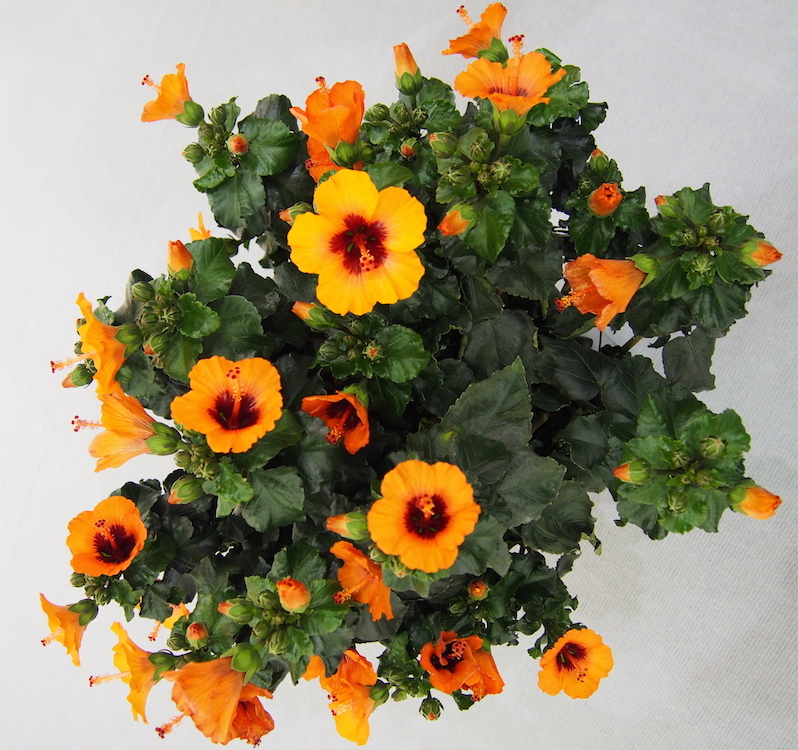 Their main requirement is regular watering to keep them flowering (so a windy balcony may not be ideal), but with a little care, they will flower for months. Moth orchids have been popular for many years now, but the fragrant orchids are gradually increasing and it’s well worth seeking them out. The Oncidium Twinkle Series have dozens of tiny blooms on each flower stalk and smell variously of chocolate, vanilla or cloves. These are ground-dwelling orchids, so have different requirements to the tree-dwelling moth orchids and they need regular feeding to keep them growing well. 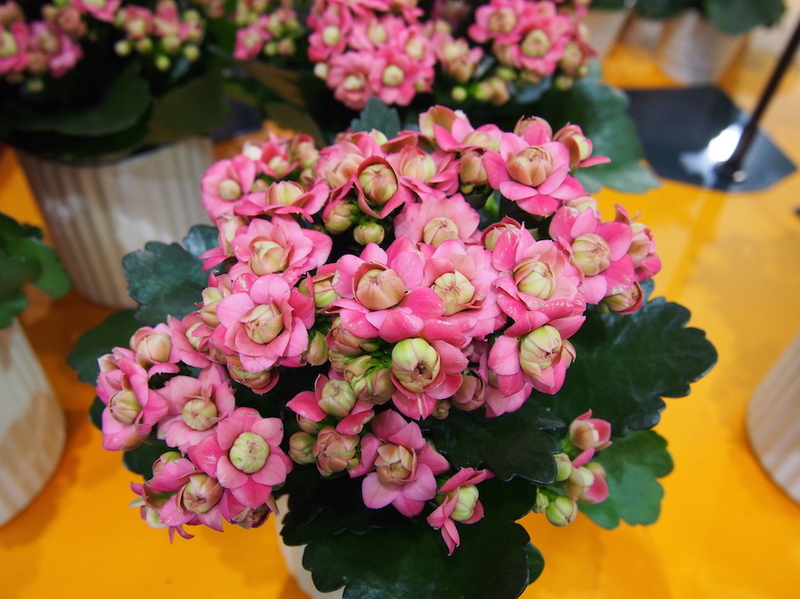 For both indoors and a sheltered sunny spot outside, flowering plants don’t come much more reliable than Kalanchoe, or “flaming Katy” plants. They are semi-succulent, so are tolerant of a little neglect once they are established, but still put on a lovely display of small flowers. The latest introductions are the Queen RoseFlowers Series, including ‘Ghita’ (photo below) with pretty, double rose-pink flowers. For anyone who likes something a bit different, the all-green inter-specific hybrid ‘Queen Green Rarotonga’ certainly makes a talking point. Mandevilla plants like a warm sunny spot where they can climb up a frame and produce their big, showy flowers during the summer. The Sundaville Series now includes two new additions, ‘Mini Scarlet’ and ‘Apricot’. Both produce stunning, large flowers although the scarlet ones are also a slightly different shape, with thinner petals on some blooms. 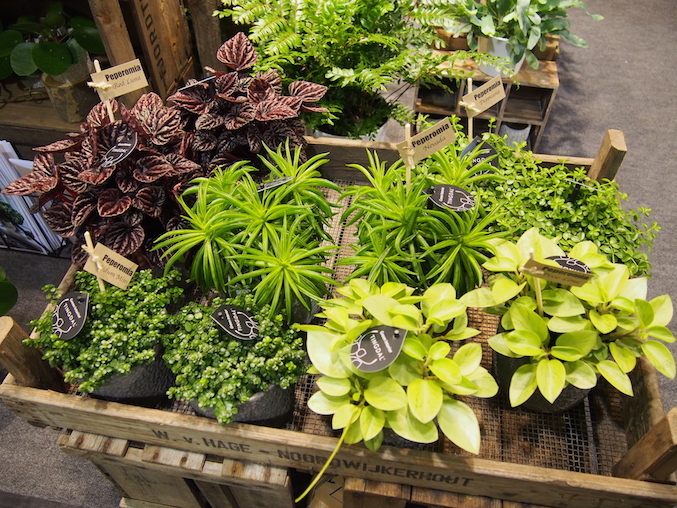 Peperomias were hugely popular indoor plants in the 70s, but have fallen out of favour over recent years. 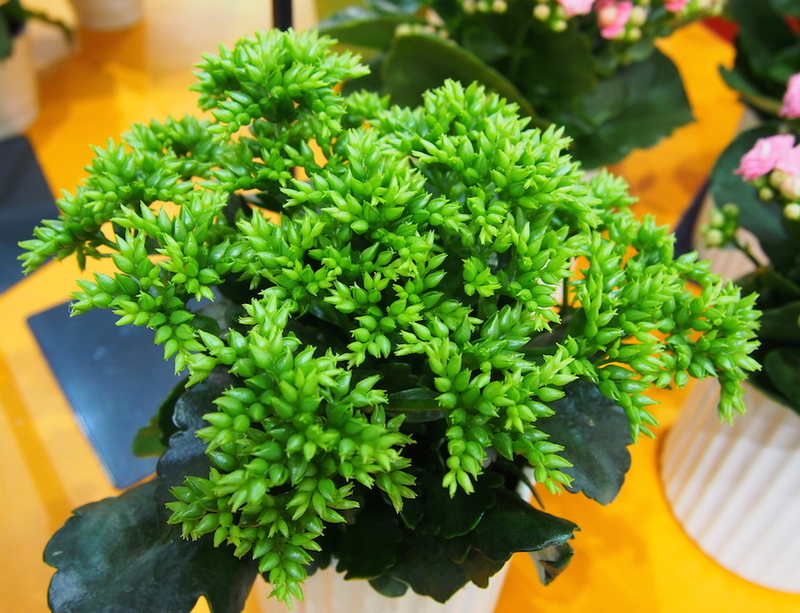 Now, with the resurgence of interest in indoor plants generally and those that will grow in a terrarium in particular, they are on their way back. It’s nice to see the return of these plants, with their crinkly succulent leaves and strangely-shaped flower spikes. They will be quite new to many younger gardeners, but they come in a wide range of shapes, colours and sizes and are very tolerant, well-behaved plants. New from Suttons is the dwarf pot mulberry Charlotte Russe. Fully hardy and self-fertile, this is an ideal plant for anyone with the desire to grow fruit at home, but limited space to do it as it eventually forms a bush about 1.5m x 1.5m, rather than the traditional large tree. Mulberry fruits are packed full of vitamin C and iron and they are produced on this plant from May through to September. It crops on both old and new wood, so there is no regular pruning to do, just tidy up any damaged tips after the winter. Suttons partner company Dobies have a dwarf pot raspberry called ‘Yummy’ which would grow alongside the mulberry and provide tasty breakfast toppings throughout the summer.